This Product Order Supplies the Following BOM (Less Foundation and Installation) in accordance for Use as a Self Supporting 55 Foot ROHN 45GSR Tower with EPA's (Effective Projected Area) Ratings for 90-110 MPH (Rev.G/No Ice). This 45GSR Tower is to be used in a Self-Supporting Configuration according to Use and Foundation Specifications in the ROHN Catalog. This Height Configuration relies on a R-45GSRSB or 1/4 of a R-45GSR 20 Foot Section Embedded in a Concrete Foundation Specified by Engineering. 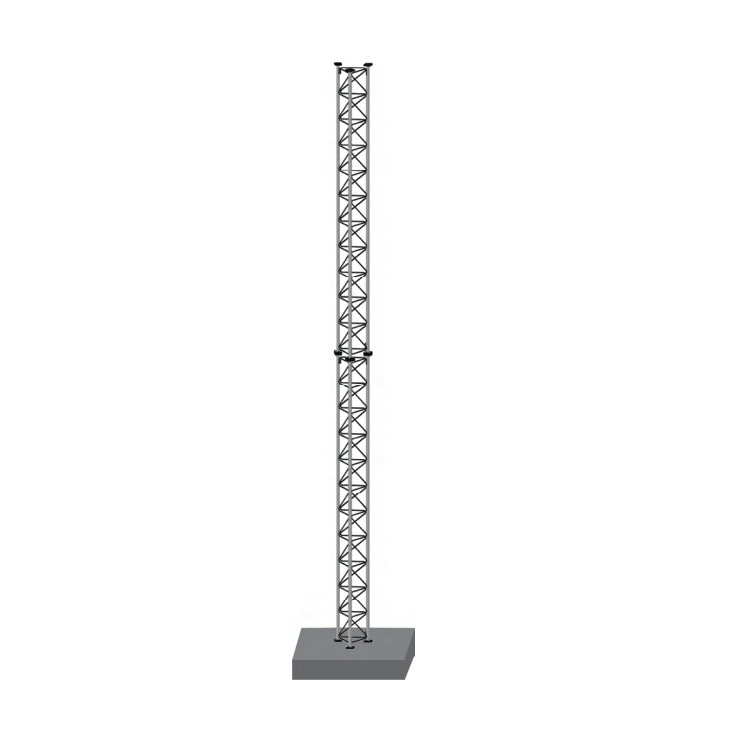 As a Free-Standing, Self-Supporting Structure, a 70 MPH rated 45GSR Tower can rise to a maximum of 60 feet.